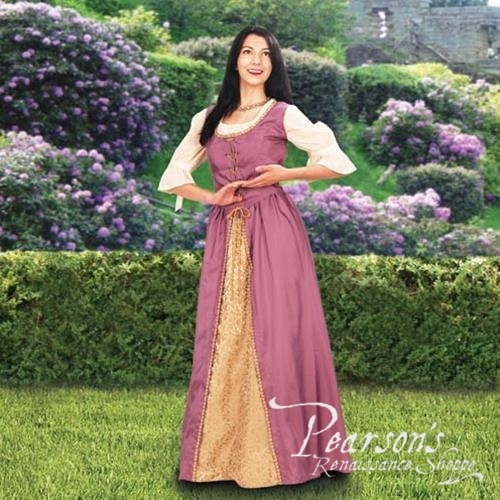 This lovely two-piece gown has been designed with the faire-goer in mind. 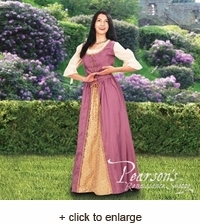 This lightweight garment laces up the front with gold roping, while the back bodice has hidden elastic for a great fit. The full skirt has a false underskirt of gold brocade. Shown over our Peasant Blouse, this gown looks great using our Floor Length Petticoat. Polyester.